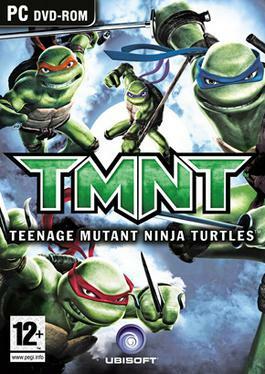 I just got finished playing the 2007 single-player action game by Ubisoft titled TMNT based on the film by the same name, which was released on pretty much every platform including the PC. Obviously the game was released to capitalize on the film, and typically these types of games don’t go very well, but I will say that I had fun. That is right, these are the beloved Teenage Mutant Ninja Turtles from my childhood, back with all the attitudes and personality that I so fondly remember. Perhaps that is why I had fun because if you were hoping for some new and exciting game mechanics, this game is pretty much an exact copy of Prince of Persia, except with big green turtles instead of our beloved Prince. I got the honor of being asked by Beckett MOG to visit Blizzard’s Headquarters in Irvine California for an all day presentation and hands-on for World of Warcraft’s latest upcoming expansion Cataclysm a few weeks ago (I couldn’t tell you at the time due to an NDA). I begged my boss to take the day off from work, drove up to Irvine, and spent 2-hours in a private Q&A with 20 other guys and gals from the press and seven of WoW’s most influential minds. After that was over, we spent an hour eating lunch with the PR guys in the Blizzard cafeteria, and then got a 5-hour hands-on session with the latest build. During that time, we toured the facility and each spent 20 minutes with a different person for a one-on-one interview. Unfortunately there was a moderator, so we couldn’t just ask anything… hehe. I wrote a 2800 word article, which will be featured in the next issue of Beckett Massive Online Gamer covering all the changes you’ve no doubt already been reading about on MMO Champion and other sites, which also includes a 600-word writeup on the new Worgan starter area. Be sure to pickup a copy at your local newsstand when it comes out! I also wrote a short writeup of the Goblin starter area, which has been available for some time in the Alpha test, for IGN’s WoW Vault, which was published last week. Read on for an Interview that I did with Lead System’s Designer, Greg “Ghostcrawler” Street, that can only be found here on my personal site! The first part of the Interview that focuses specifically on Ghostcrawler had to be omitted since it will be published in the next issue of Beckett’s MOG (he called forum trolls assholes!! ), but the rest that focuses exclusively on the Cataclysm expansion has been published below. As we begin day three of the Electronic Entertainment Expo, you can really see the exhaustion of a 3-day event on people’s faces. It’s the last day and everyone was getting tired. We decided to try to see the remaining MMOs/RPGs, and perhaps get out of L.A. before rush hour, and the basketball game begins. We started the morning by revisiting the Sony booth to get our hands on the new upcoming Superhero MMO that we missed yesterday. We did get a chance to see the following games: DC Universe Online, Vindictus, Dragons Nest, Warhammer 40,000: Dark Millennium Online, Battlestar Galactica Online, and All Points Bulletin.